Broken and discolored teeth can make you want to hide your smile. Teeth bonding can change that using a composite resin to improve the appearance of your teeth. 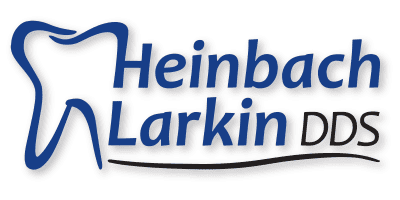 The dentists at Heinbach-Larkin Dental have experience sculpting the resin on the surface of your teeth to create the natural results you want. Contact one of their offices in Topeka and Lawrence, Kansas, or schedule an appointment online to learn more about how bonding is a budget-friendly way to get the smile you’ve always wanted. Dental bonding uses a tooth-colored composite resin to achieve a variety of aesthetic improvements. It’s often used as a natural-looking filling to repair cavities or replace traditional amalgam fillings. Bonding effectively covers discolored teeth, fills in gaps, changes the shape of your teeth, or makes them look longer. It can also be used to protect the tooth’s root when it has been exposed due to receding gums. What are the benefits of bonding? Bonding costs less than other cosmetic procedures like porcelain veneers and crowns. While it’s not as durable as porcelain, bonding usually lasts up to 10 years depending on daily wear-and-tear and your dental health. Front teeth aren’t subjected to the same pressure and chewing as molars, so you can expect bonding on front teeth to last longer. Other habits, such as grinding teeth while you sleep, impact your bonding’s lifespan. The procedure is fast compared to other cosmetic options. Your dentist does it in one visit, doesn't have to remove any tooth enamel, and you won’t need anesthesia. What can you expect during the bonding procedure? After choosing a composite resin that matches your natural tooth color, your dentist slightly roughens the surface of the tooth, then coats it with a liquid that helps the resin adhere. They put the putty-like resin onto the tooth and mold it into the desired shape. Finally, a laser or ultraviolet light hardens the resin, it’s polished, and you have a better-looking tooth. Bonding one tooth takes about 30-60 minutes. If you want to bond more than one, you will need several visits. How should you care for bonded teeth? Your bonded teeth need the same diligent care as the rest of your teeth, including brushing at least twice daily, flossing, and regular dental checkups to keep them clean and free of bacteria. The resin used in bonding isn’t as strong as your natural enamel, and it’s vulnerable to staining. Your dentist at Heinbach-Larkin Dental will give you specific care instructions. As a general guideline, it’s a good idea to avoid biting hard objects.